Second-gen Firebird owners celebrated when YearOne rolled out their new reproduction snowflake wheels in classic 15” and upgraded 17” versions last year. And now it’s time for 4th-gen owners to do a little celebrating of their own – YearOne has just released a 17x9 version of their hot snowflake with proper offsets for 1993-02 models. The cast-aluminum wheels are available in multiple finishes and of course use OEM-type center caps. Owners interested in adding a little performance heritage to their modern muscle car are encouraged to visit www.yearone.com for all the details on the new 4th-gen snowflake wheels. Want to buy your 4th gen snowflake wheels now? 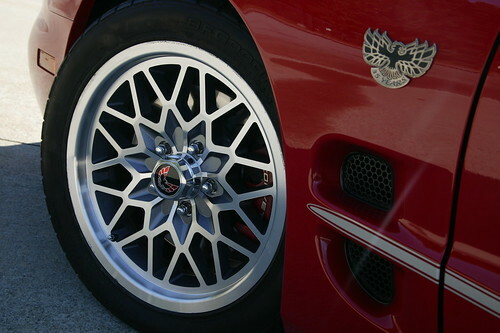 YearOne also carries WS6 snowflake wheels for 2nd gen Trans Am's and Firebirds. Click HERE for details. I wish that they would offer the 4th Generation Snowflake Rim in Gold Color option to give you a choice. Gold would look better with my Black 1999 Trans Am instead of the Gunmetal Color. WHY CAN YOU GET THE 17X9 FOR 1ST,2ND GENERATION IN GOLD, BUT CANNOT GET 4TH GENERATION 17X9 IN GOLD? GOOD PRICE, BUT CANNOT AFFORD TO PUT ANOTHER $700+ TO CHANGE COLOR. These need to also be available in the 4th gen 16" size. My WS6's OEM high polished wheels are perfectly fine, thanks. It's the 16" chrome ones on my other TA that didn't hold up well and need to be replaced WITHOUT changing size. buy instagram followers 21 Buy quality and real followers, buy instagram followers from the world's most trusted follower buying site at the most affordable cost. Youtube, facebook, twitter services. 24/7 is available to us from our customer service and supported.